IT Outsourcing Review team is happy to congratulate you on the occasion of such amazing holidays ahead! This is the most exciting and wonderful time of the year. The time when we look back to 2017 and think of all the achievements, success, interesting cooperation and event. We cannot be more thankful to all our partners and writers who have greatly contributed to our platform. 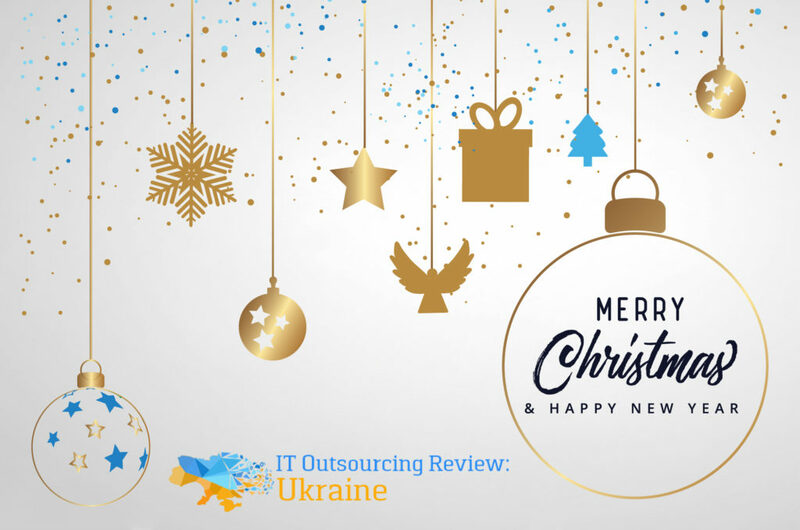 Your support and persistence have helped us grow the audience and spread the word about Ukraine’s IT industry and inspired us to reach high in 2018. May the lights of Christmas be your guide and the Christmas carols fill you with cheer. Enjoy this time with your family and close people. We wish you prosperity, happiness, and joy everywhere you go and whatever you do. Here’s to a year of blessings and beyond.